TORONTO -- Gingerbread men are a seasonal staple but the spiced treats by Vanessa Labrecque this year will be special: They'll be infused with cannabis. Gingerbread cookies can also be customized to an individual's weed tolerance, she adds. 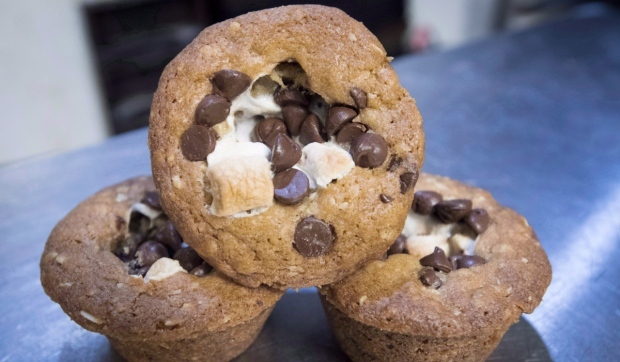 The advent of legal recreational marijuana is tempting more and more people to try the drug by incorporating it into their food, say Labrecque and others who have noticed a spike in queries about how to make so-called edibles. She and Ellen Novack released a cannabis-themed book "Healing Cannabis Edibles" in late September just before legalization. Although it's only found in small independent bookstores and at wellness conventions, she says interest among retailers and buyers is so strong "it just sells itself." "One little corner store here in Neustadt, Ont., (a) village of 400 souls, has sold 30 copies," says Crocker, who also sells the book online. Cooking with cannabis is a multi-step process that involves sourcing the specific strain that promises the uplifting or sedative effect you're after, preparing the cannabis through a process called decarboxylation in which heat is used to activate key compounds, and then using the weed to infuse a fat to be used in the recipe -- such as olive oil or butter. When serving new users, she suggests erring on the side of caution by serving edibles that fall below her recommended limit of 10 milligrams of THC per serving -- "start low and go slow" is the cannabis mantra she echoes for edible newbies. Those who are unsure whether cannabis is for them should consult a health-care professional. As a result, some people might be tempted to have a second or even a third serving, says the L.A. chef, who will make extra identical dishes without cannabis for those looking to nosh. "It's a longer-lasting high, it's a creeper of a high depending on how you do it," says Danzer, a caterer and instructor. "We'll start out with something that's maybe 3 mg but everything else that's infused in that meal is going to be 1 to 2 mg. So by the time you're done with the meal you've got 10 mg."
Some dishes, like his watermelon gazpacho, demand individual dosing to be sure each serving is consistent: "Every single watermelon gazpacho gets five drops of canna-oil and I'm very meticulous about that," explains Danzer, who details his technique in the book, "The 420 Gourmet."